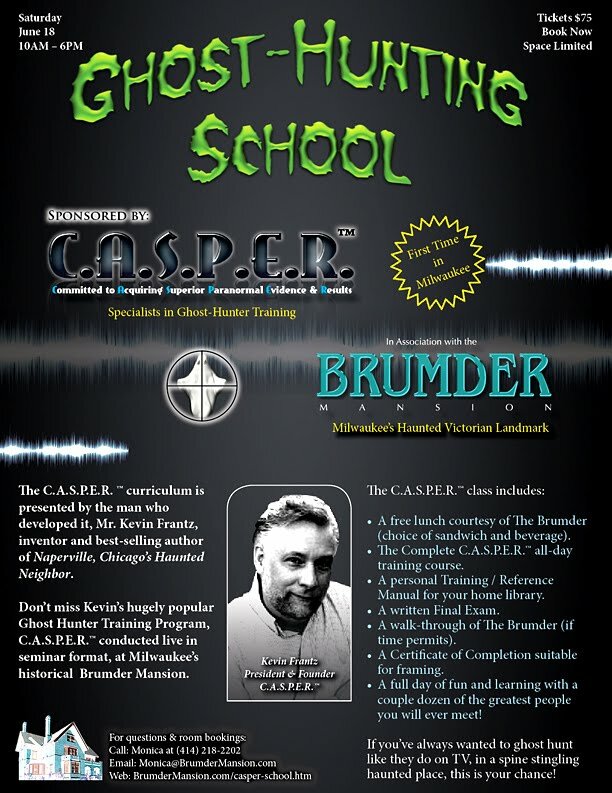 On June 18 from 10am - 6pm Join us at the Brumder Mansion For the The C.A.S.P.E.R.™ Ghost Hunter Training is an in-depth program, and is applicable to novice and "pro" alike. 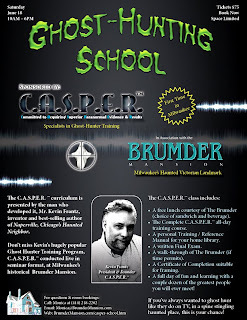 Casper is written by, and taught by, Paranormal Investigators Kevin Frantz & and author Charles Kennedy RN of Neural Psychology and the Paranormal Investigation! * A free lunch at the Brumder Mansion (choice of sandwich and beverage). * A full day of fun and learning with a couple dozen of the greatest people you will ever meet! If you've always wanted to learn to ghost hunt like they do on TV, in a spine-chilling haunted place, now is your chance! We will also have a few rooms open on the 18th if you would like to stay the night at the Brumder Mansion to have "Breakfast with the Authors" call Monica Kelly for details. THEN IF YOU WOULD LIKE YOU HAVE A SECOND OPTION THAT SAME NIGHT!! !